The Medicinehaus series is the perfect integration of storage, technology, and luxury for your bathroom. This never before seen technology provides you with a completely new experience while getting ready for your day. Equipped with an electrical outlet and a blue lit LED power button with a dimmer, this cabinet has all the features you need. This cabinet a recessed installation, allowing it to fit smoothly against your bathroom wall. The single door WHKAL7055-I is made of anodized aluminum, which has numerous benefits. Anodized aluminum is easy to clean, will never chip or peel and is noncorrosive. 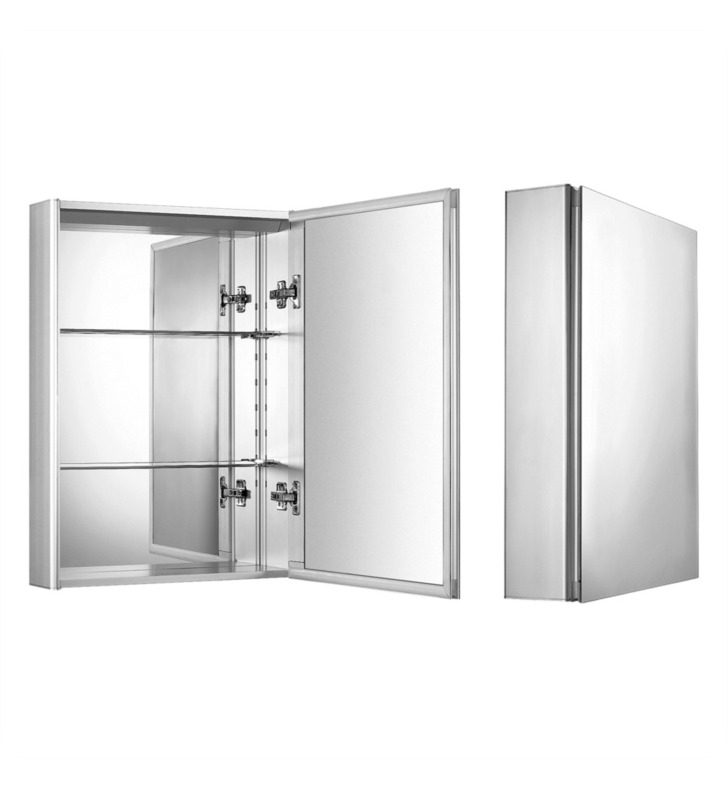 This top of the line medicine cabinet will create a focal point in your bathroom while offering functional luxury of roomy storage. W 19 5/8" x H 27 1/2" x D 5 7/8"